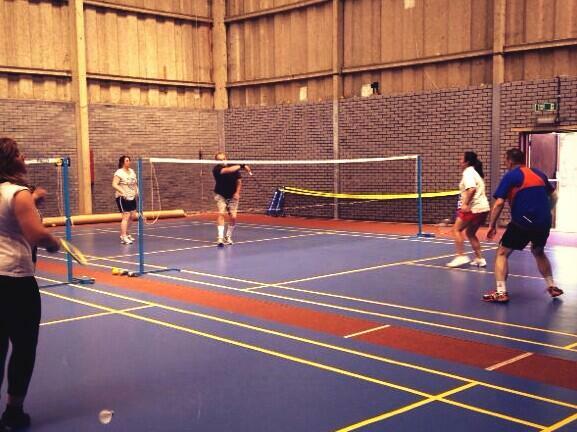 Badminton is played as a group activity organised by the Club’s Badminton section. Up to 4 mats are set up on the indoor tennis court on Thursday evenings and Saturday afternoons and they provide excellent grip and a good degree of cushioning. The court fee is £3.00 (£1.50 for juniors) for members of the club and £4.50 (£3 for juniors) for non members. Players also contribute 20p per session to the shuttle fund. All children should be accompanied by an adult, either playing or sitting courtside or up in the bar area. Different abilities separate onto different mats usually in established groups. It‘s usually best for new players to start on a Thursday, meet people and establish a regular group for Saturdays. Ian Peach will be very happy to help new members. So why not join our welcoming and sociable section. The courts are good and the clubhouse has an excellent lounge and bar available after each session. For more information, you can contact Ian Peach our Badminton Chair. Do you know anyone who might like to join our club? Please share our website with them. Sign up to the club newsletter! Stay up to date with latest news and events.